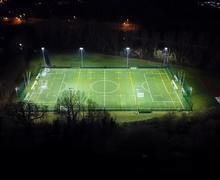 The 3G Sports Pitch is available for hire out of normal school hours use and during school holiday periods. Bookings are considered for either for long, medium, short term or one-off bookings. Please contact the school Facilities Manager (Mr Sean Pennicott) for more Information and availability.